Bridgeport residents won’t have to wait much longer for the newest addition at Steelepointe Harbor to open. 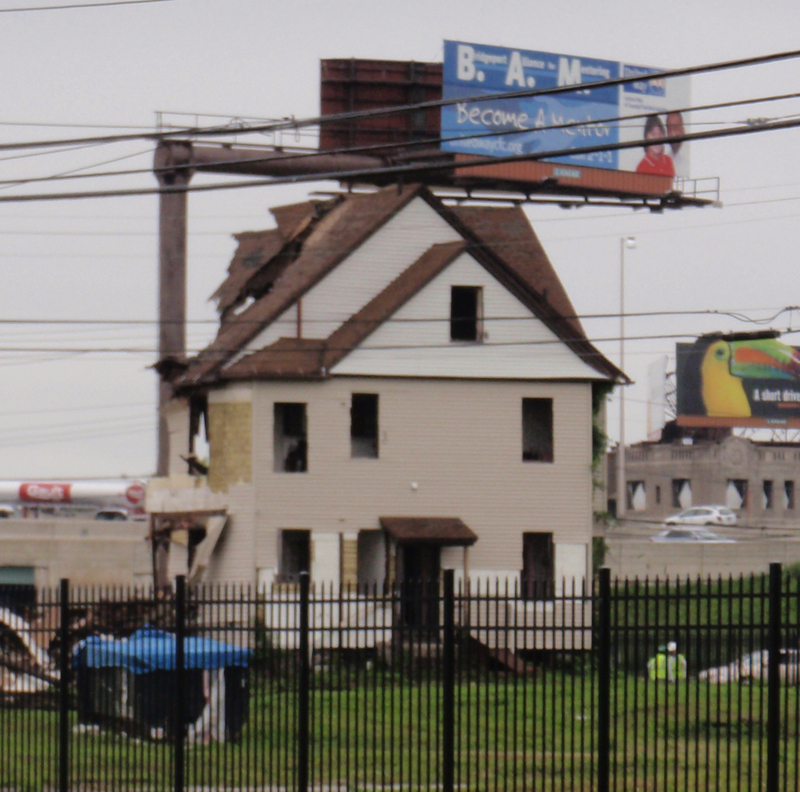 “It’s really been exciting because we have a lot of people that we talked to about coming to Steelpointe,” said Robert Christoph Jr., of Miami-based RCI Group, which has been building out the project with plans of turning it into a new commercial and residential hub in Bridgeport. The Dockmasters building has been taking form along the water over the past year, following several weather-related setbacks in 2018. This time last year, Christoph predicted that the Dockmaster’s building and restaurant would open by that fall. Due to code changes, the developer said, the project hit another snag that delayed its debut once again. The 48,000-square-foot building will house office space for a marina along with a restaurant and several retailers. Boca Oyster Bar is setting up a 10,000 square-foot waterfront restaurant at the site that will open in May as well. The eatery will be the fifth business to operate at Steelpointe Harbor and the first to open in three years since Bass Pro Shops opened in 2016. Boca will be based on the ground-floor level of the Dockmaster Building. Boca will also join Starbucks, Chipotle and T-Mobile stores on a commercial property opposite the sporting goods retailer. Along with Boca, the building will feature office space for RCI Group’s Bridgeport base and marina operation on opening day. Another 10,000 square feet of leaseable office space will be built out over the summer, Christoph said. A remaining 5,000 square feet of offices are expected to open and be rented soon after that. The newly built marina is also expected to open in May, according to Christoph. The waterfront property features new concrete floating docks and roughly 200 boat slips. The dock will accommodate vessels up to 300 feet, he said. Developers are already looking ahead to the next phase of projects along the harbor. Christoph said RCI plans to start construction on the first batch of apartments and retail space by the summer. The mixed-use building will be on East Main Street, Pembroke Street and Stratford Avenue and will feature 25,000 square feet of commercial space on the ground floor and roughly 200 market-rate apartment units. Renderings of the waterfront site include several high-rise structures that Christoph said are a part of future phases of residential properties. Steelepointe Harbor has remained a bragging point for the city since it was started. 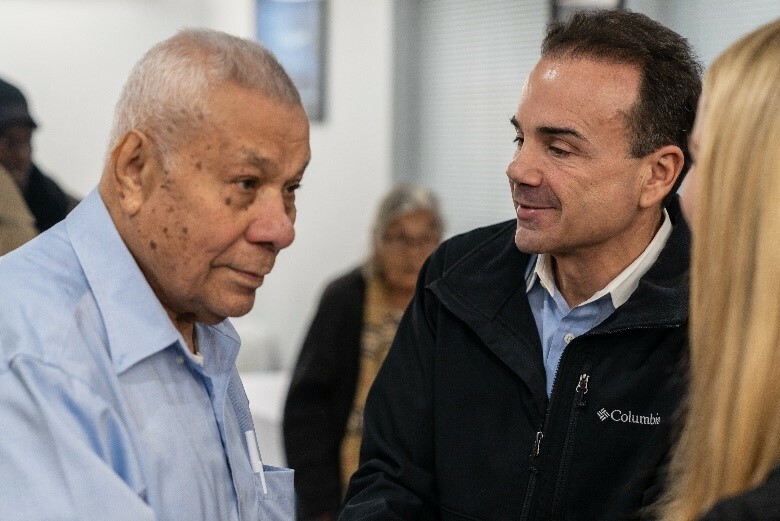 Most recently, it was among the list of projects Mayor Joe Ganim touted during his State of the City address to the business community at the University of Bridgeport on Tuesday. “This is the kind of new look and feel that we want to bring to our city,” Ganim said. From mid February installation of boat slips underway as marina readies for opening this spring. Bridgeport ferry, pictured right, approaching Downtown terminal across the harbor. These views of the city’s waterfront looking east don’t come along often, unless of course there’s a webcam attached to the top of the 16-story People’s Bank headquarters (image above) and/or an intrepid photographer Elias Rosario captures a similar vantage point Feb. 22nd atop the city’s tallest building. His images follow below. Under construction, the nearly completed 48,000 square-foot Dockmaster Building on the Steelpointe Harbor redevelopment area covering portions of the East Side and East End. The building will house the offices of project owner Bridgeport Landing Development as well as a 200-slip marina, harbor walk and Boca Mediterranean Oyster Bar managed by Yanni Taxiltaridis, general manager of the popular Crave 52 in Fairfield Center. Boat shows and fishing tournaments are planned along the waterfront. In the distance across the channel, Bridgeport Boatworks that offers repair and storage services. Wider view of the development area with Bass Pro Shops, upper left, the anchor tenant. The next scheduled phase, foreground left, is the residential building in the corridor bordered by Stratford Avenue, Pembroke and East Main Streets designed with underground parking, retail at ground level and approximately 200 residential units above it. The developers increased the height of the bulkhead, with six feet of clean fill, following Federal Emergency Management Agency regulations in the aftermath of Hurricane Sandy. The entire shoreline area is now above the flood plain, according to Robert Christoph Jr. a principal with Bridgeport Landing Development. 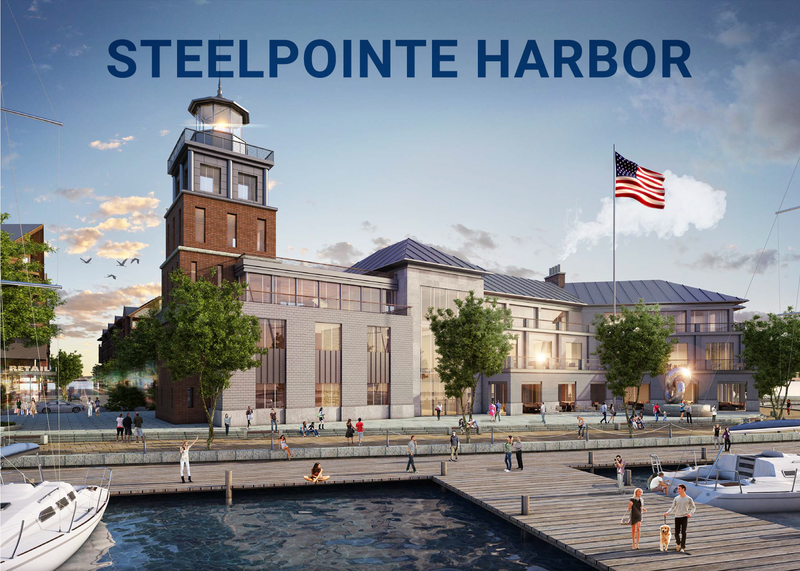 Steelpointe Harbor experienced continued forward momentum in 2018 on a project that started physical construction in 2014. The construction has been steadily making progress. It seems like it was only yesterday, but Bass Pro Shop, Chipotle, T-Mobile and Starbucks opened on Steelpointe in late 2015. 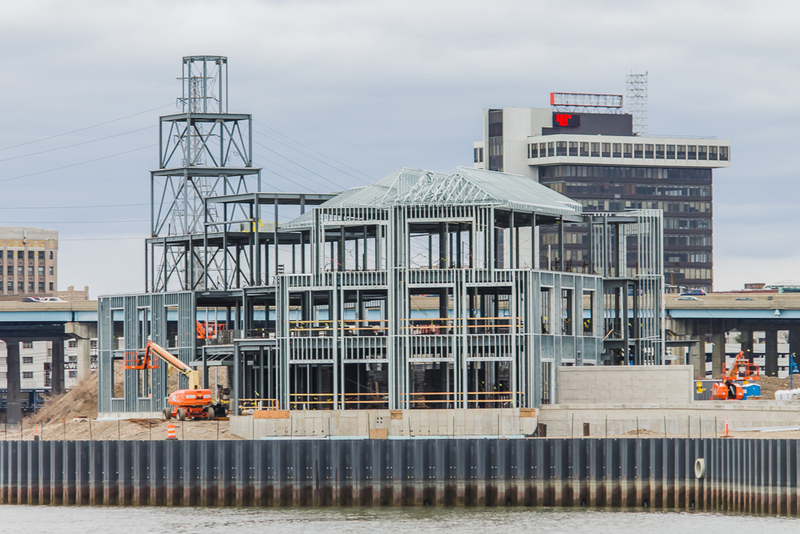 Bridgeport Landing Development (BLD) is currently constructing the 48,000 sf DockMaster Building on the Steelpointe waterfront, and in 2018 received a Certificate of Occupancy for the building. Since BLD began, the peninsula has been raised about 8’ in elevation. A new waterside bulkhead has been installed and new roadways have been built to provide the necessary linkages for a project of this size. BLD installed all new underground utilities so that the peninsula will be resistant to future sea rise, hurricane winds and crashing waves. 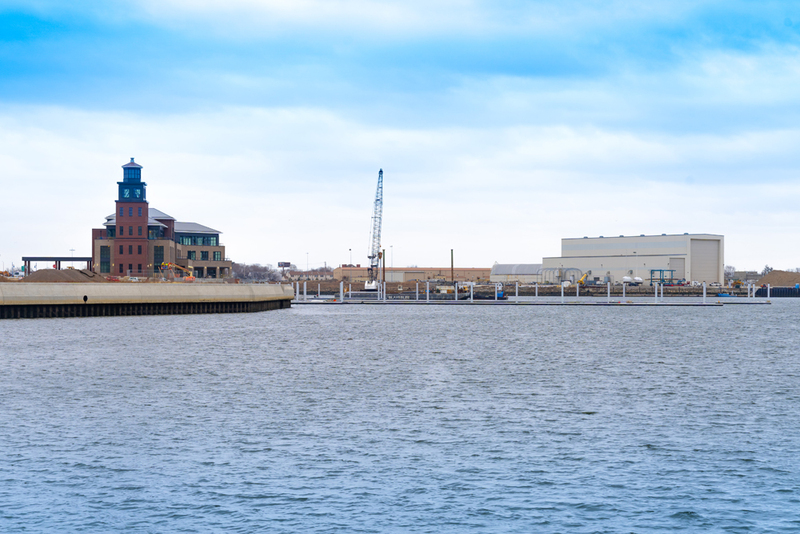 BLD opened Bridgeport Boatworks in June of 2018 across the Harbor on a part of the old CarTech site. This new full-service marine boatyard is capable of servicing recreational and commercial vessels. With both a 75-ton and 200-ton travel lift, Bridgeport Boatworks can mechanically maintain, upgrade or restore your boat. Bridgeport Boatworks can also work in wood, metal, fiberglass, or Kevlar as well as clean and paint your boat. Storage is available either indoors or outdoors. The Boatworks is designed to work in concert with the Marina located at Steelpointe Harbor. 2018 also saw the construction of the floats and docks that will make up the Marina at Steelpointe Harbor. Custom built on site, the various steel, plastic, and concrete components were assembled in the old manufacturing building on Seaview Ave. On December 3, 2018, the first floats were put into the water to begin the construction of the Marina. This is the continuation of a process that began in December 2011 when the Connecticut Department of Energy and Environmental Protection (DEEP) approved a permit giving BLD the authorization to make some key changes. This involved the removal of derelict structures including 1,500 old wood pilings, perform near shore dredging to create a uniform bottom depth, install a new bulkhead and install a 250-slip marina at Steelpointe on Bridgeport Harbor. Best practices and FEMA required that we raise the existing land elevation. Our permits allowed the dredge material to be used as upland fill enabling BLD to begin the creation of a public access boardwalk and a 15,000 sf tidal wetland. The Army Corps of Engineers issued their permit in January of 2012 allowing the actual construction of the sheet pile bulkhead, the public access boardwalk, and the dredging to proceed. The Steelpointe Harbor Marina will be open and operating for the 2019 boating season. 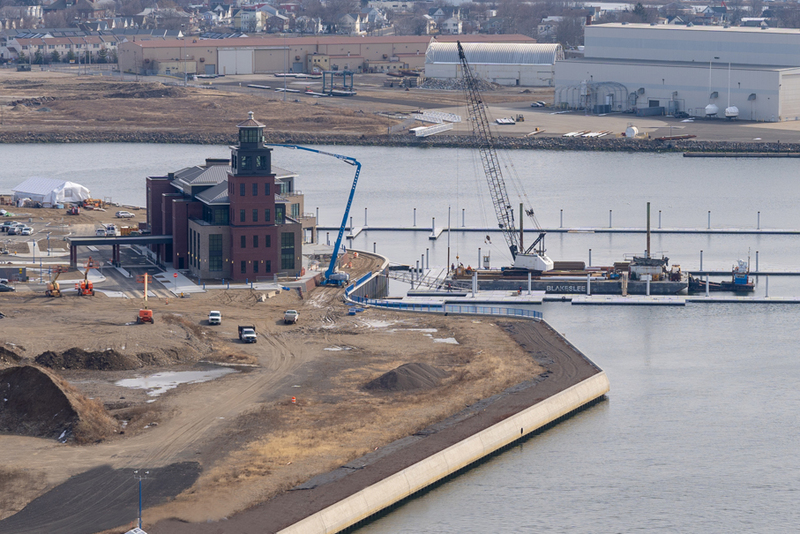 The transformation of Bridgeport Harbor from an old and abandoned industrial harbor to a new, modern maritime entertainment and recreational destination has begun. The Boca Mediterranean Restaurant on Steelpointe will open in the Spring. With the opening of this new waterside 10,000 sf restaurant, families from throughout the region will have a new destination for dining, shopping, and boating. Construction of the Harbor Walk will continue through 2019. When completed, the Harbor Walk will give the public full access to the waterfront and connect our neighborhoods to the Long Island Sound for the first time in over 100 years. Residents will be able to stroll along the Harbor Walk while experiencing the fresh salt air and mesmerizing spectacle of boats bobbing in the glistening harbor. Residential development will begin this year. The first residential building will be located between the Dockmaster Building and Stratford Avenue. It will consist of 200 rental units with underground parking. The first phase of our waterside retail development will consist of 25,000 sf of street-level retail. Eventually, Steelpointe Harbor will encompass approximately 1,500 –2,000 residential units, both rental and ownership. 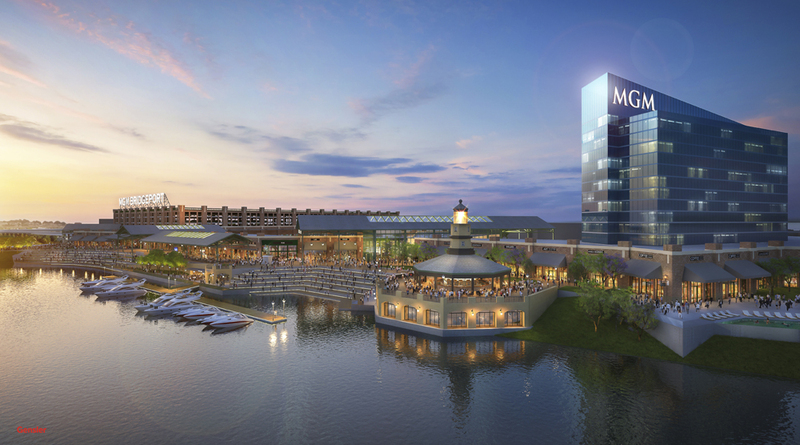 With waterside and upland residential construction underway, Steelpointe Harbor would welcome another destination entertainment project on the Yellow Mill Channel to our East, consistent with the City Waterfront Plan, designed to attract more people to enjoy the Bridgeport waterfront. When authorized by the CT State Legislature, a major entertainment destination in the East End could provide 2,000 jobs in the City, as well as stimulate additional tourism and development in the Bridgeport region. 1.4m sf of restaurants, hotels, retail, entertainment and gaming will add additional vitality to the Bridgeport Waterfront and to the region. It will also provide additional revenue to both the City and State. In a sense, this attraction would be a throwback to the days when Pleasure Beach aka Steeplechase Island existed as an amusement park on the Long Island Sound. A destination where visitors from Connecticut and other states once flocked by train, trolley and ferry to enjoy the beauty of the Long Island Sound. Where did he go… That statuesque looking baseball player, tanned with a Bronze patina, in front of the old Bluefish Stadium? We’re talking about Orator Jim, of course. 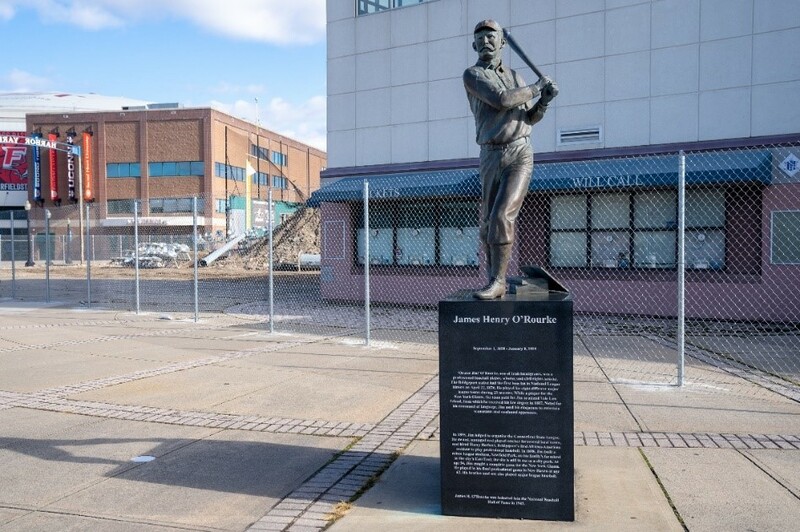 That’s right, Bridgeport’s own Baseball Hall of Famer James Henry O’Rourke, his statue that is, is gone! Once the statue, bat in hand following through on a swing graced the ballpark, which itself will be gone soon to make way for an amphitheater. Have no fear, the statue immortalizing the record-breaking player, lawyer, and Bridgeport citizen is not lost. Actually, he’s safely on his way back home; home is the New Pasture Point in New Field, at least that’s what the colonists called it. Better known today as Steelpointe Harbor, it is the peninsula between the Pequonnock and Yellow Mill River where a great development project is underway. You may recall his house was the last one left standing a decade or so ago after the lower East Side was cleared for development. Next year, Orator Jim will be returning to his old stomping grounds on the public Harborwalk overlooking Bridgeport Harbor near the Dockmaster building at the ends of Pembroke and East Main Streets. For now, he has taken an early retirement and is now safely stored away from the mammoth construction machines creating the new outdoor entertainment venue, the Amphitheater at Harbor Yard. One day real soon James O’Rourke will come out of retirement and again swing the bat towards the Long Island Sound. And why not; it was the area where his father bought their farm, where he once honed his baseball skills, and in the neighborhood where the house he built for his family stood until earlier this millennium. It is certain Orator Jim would have been happy to know that all people will have access to the Harbor and to see his statue. As he once said, “Baseball is for all creeds and nationalities.” And soon the Waterfront will be too. Bridgeport Landing Development (Steelpointe Harbor) is working to spread the holiday cheer this year by sponsoring OPTIMUS Healthcare’s Annual Christmas Gift Giveaway on December 18, 2018. 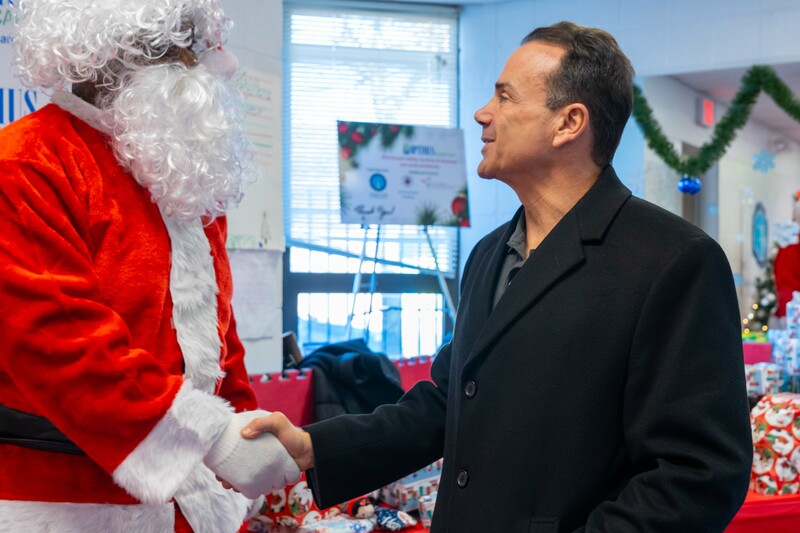 This year’s event was held at the Ralphola Taylor Community Center on Central Avenue and provided a chance for local families and children to receive a Christmas gift. Lieutenant Darrien Penix of the Bridgeport Fire Department traded in his flame-retardant yellow fire suit for one much more appropriate for the holiday season as he donned Santa’s icon red suit for a worthy cause. Penix helped to spread the holiday joy by giving out toys to families from the neighborhood where he grew up. 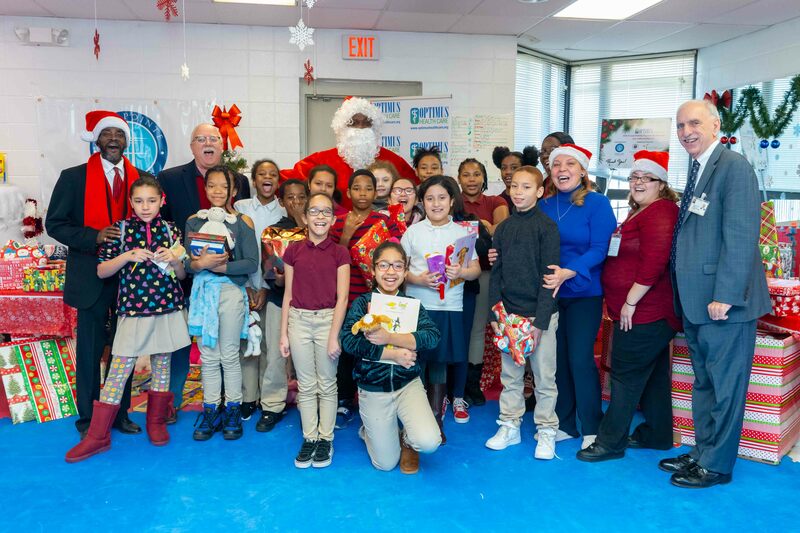 Students from Bridgeport’s Dunbar Elementary School were able to take part in the holiday celebration. Ms. Schmidt’s 5th-grade class was amongst those receiving presents. “Events like this really help the students. Some of them won’t receive a lot this year so this just brings a little extra holiday spirit. It shows them that people do care about them and helps them feel really good this time of year,” said Schmidt. East End City Councilman Ernie Newton attended and expressed his gratitude for the event. “Thank you to OPTIMUS and the Christophs for always thinking about the community. There were a lot of children in the community who didn’t have presents to open and now they do.” said Newton. “Events like this help us to spread some Christmas joy,” added Steve Tyliszczak, Development Administrator for Bridgeport Landing Development, who grew up on the East Side of Bridgeport. 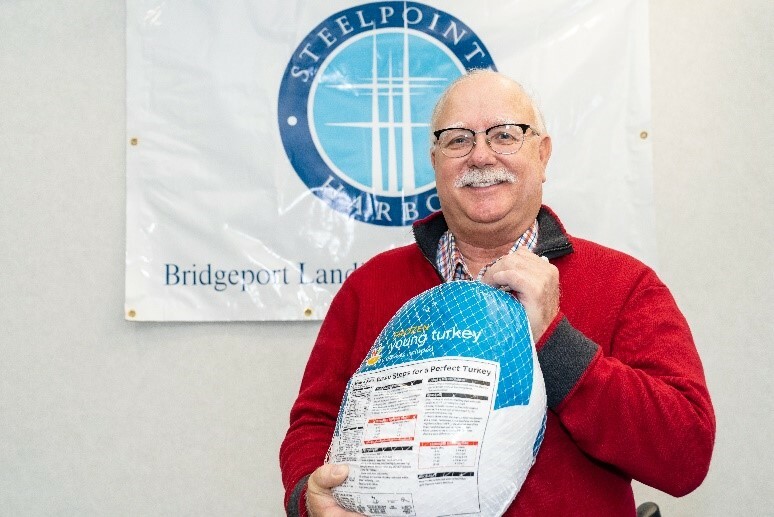 In the spirit of giving season Bridgeport Landing Development (Steelpointe) joined forces with OPTIMUS Health Care to support their Annual Thanksgiving Turkey Drive. 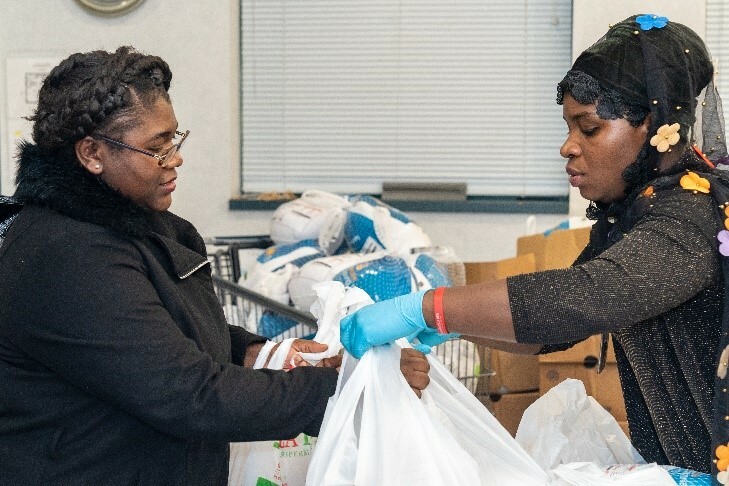 The event was held at OPTIMUS Health Care and is dedicated to providing local residents with a Thanksgiving meal. 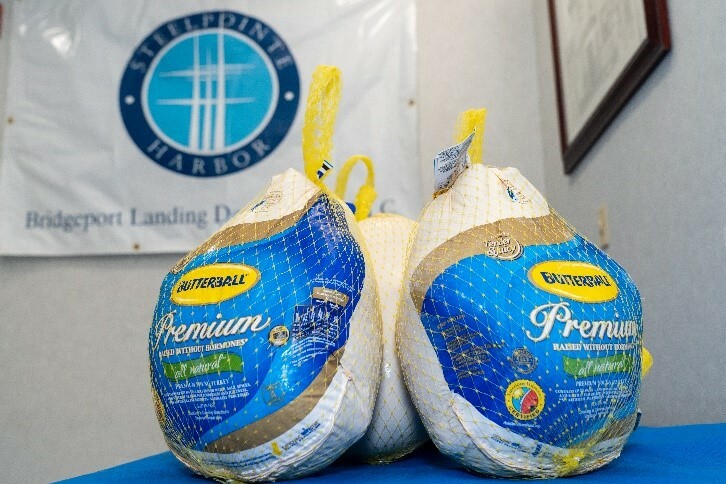 Through generous donations from Steelpointe Harbor developers Robert Christoph Sr. and Robert Christoph Jr., AMR and Gala Foods, OPTIMUS Health Care was able to provide more than 400 residents with turkeys, canned goods, and fresh produce. “We really wanted to help make this a great holiday. 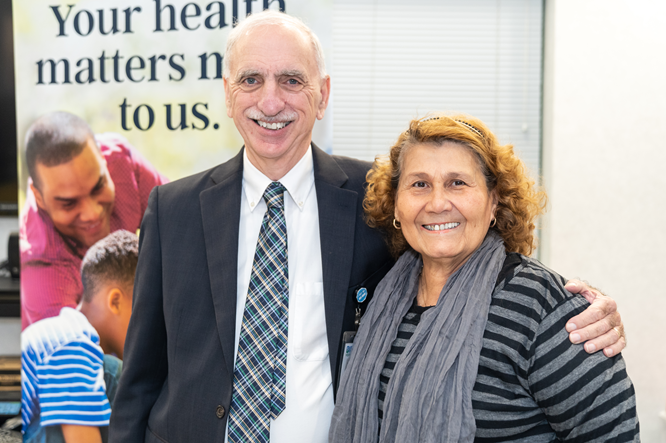 We are thankful for Bridgeport Landing Development and the Christoph family who have been very supportive over the years”, stated Ludwig Spinelli, Chief Executive Officer of OPTIMUS Health Care. Boca Mediterranean Oyster Bar is the newest business to establish a tenancy at Bridgeport’s Steelpointe Harbor development. With boating season upon us Bridgeport Landing Development also known as Steelpointe is full steam ahead with the newest addition to Steelpointe Harbor, Bridgeport Boatworks. (Bridgeport, CT) — Bridgeport City Council members braving an unusually cool April afternoon were warmed by the progress and vision for Steelpointe Harbor. 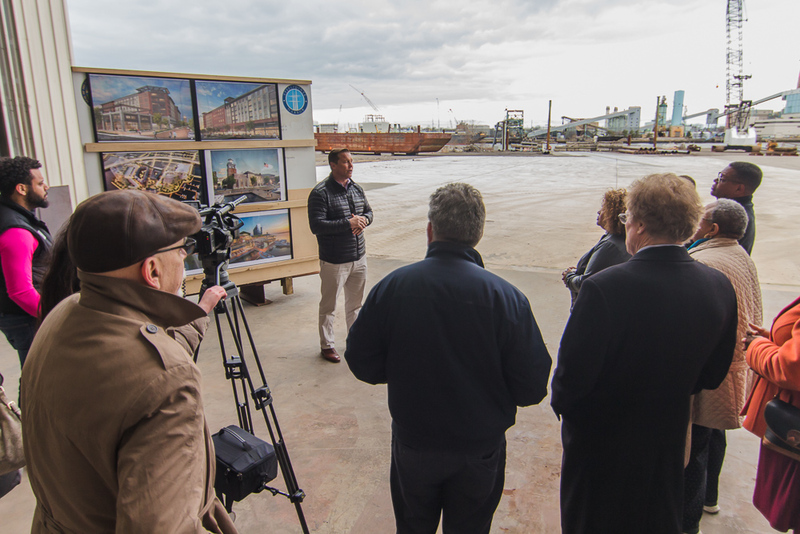 They heard first hand from the principals of Bridgeport Landing Development (BLD) while standing under the shelter of the cavernous building at Bridgeport BoatYard, dwarfed by the new 75-ton and 200-ton Travel Lifts. BLD Principle Robert Christoph Jr. outlined what Bridgeporters could expect in the months to come. 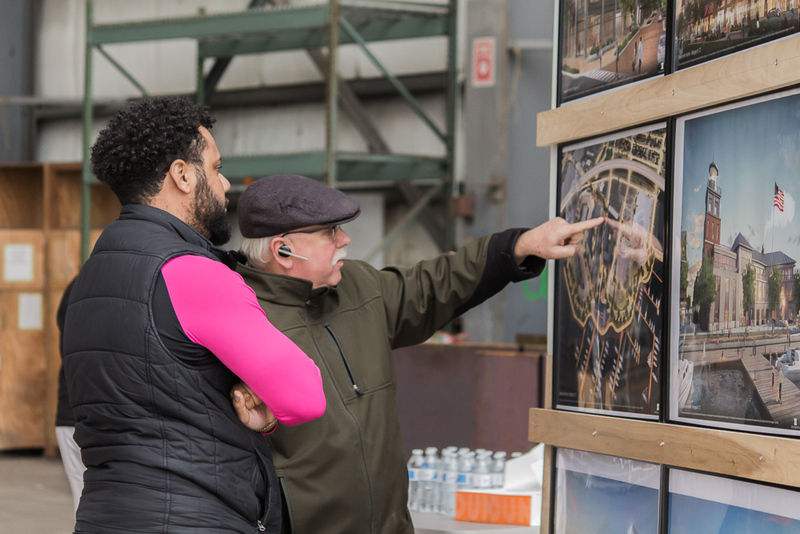 Standing in front of renderings of current and future construction projects, Council members could see the new DockMaster Building under construction across the harbor at SteelPointe. 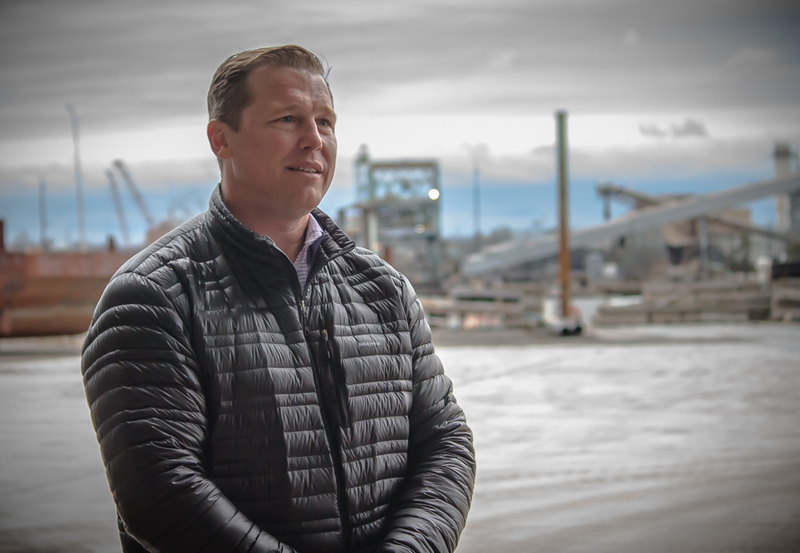 Mr. Christoph talked about the infrastructure work that had to be done in order to begin vertical construction, pointing out the recently completed award-winning Bulkhead at Steelpointe Harbor. 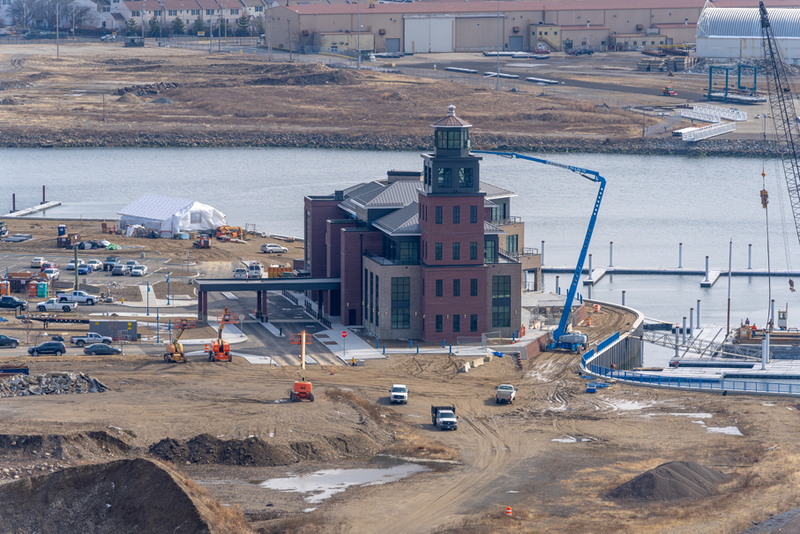 The Dockmaster Building, which will serve as an anchor to the waterfront is Bridgeport Landing’s first waterfront building which will be completed later this year. The 48,000 sq. 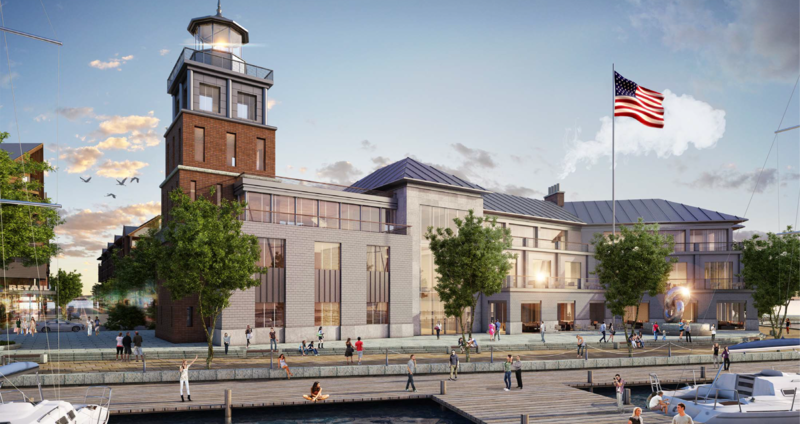 ft. building will have the office for the Marina on the first floor along with a restaurant opening onto the Harborwalk. BLD’s and other offices will fill the rest of the building, which will be completed later this year with the restaurant and Marina opening in the Spring of 2019. Christoph noted the Steelpointe Harbor Marina, which when completed will have about 200 slips. BLD hopes to bring boat shows and fishing tournaments to the Marina to enliven the waterfront. The first phase of the residential buildings will be located behind the Dockmasters building in the corridor bordered by Stratford Avenue, Pembroke and East Main Streets. The residential buildingis being designed with underground parking, retail at ground level and approximately 200 residential units above it. Christoph says the residential building will help to tie the previously built Bass Pro Shop, Starbuck’s, Chipotle, and T-Mobile retail locations north of Stratford Avenue to the waterfront. Groundbreaking for the residential phase will take place later this year with an 18-month construction schedule. The council briefing took place at the site now called Bridgeport Shipyard. 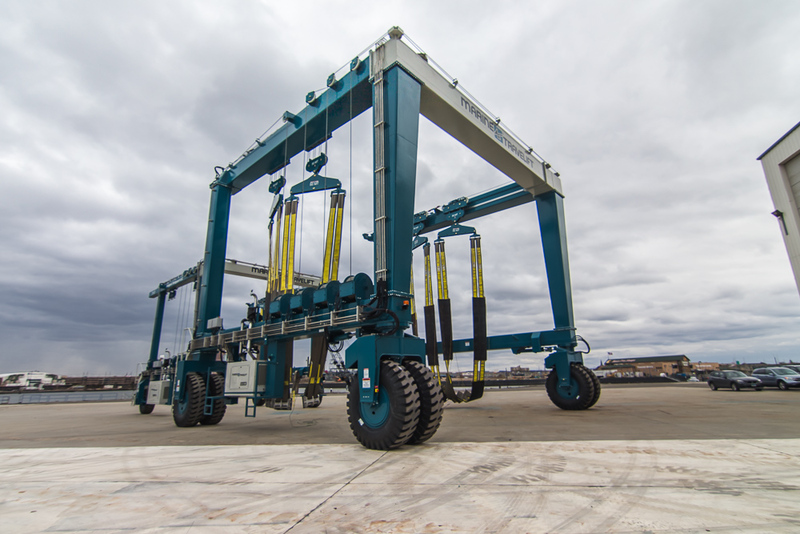 The two new travel lifts will be capable of lifting most of the ships that ply the Long Island Sound out of the water for storage, upgrades or inspections. 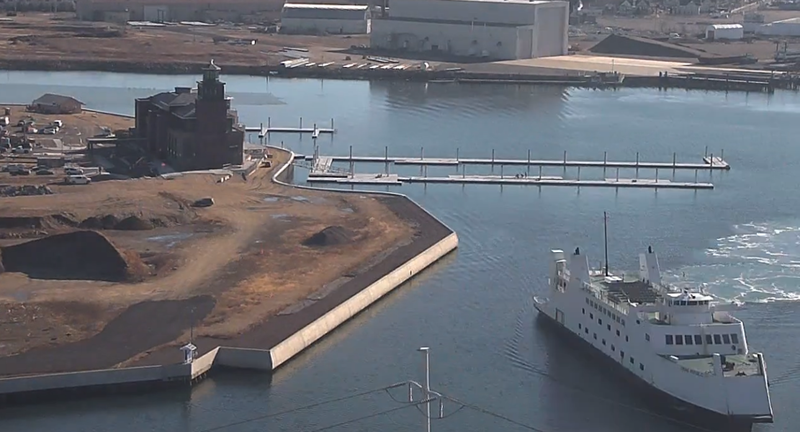 Christoph said, “This will bring local jobs and serve as a good economic stimulus for Bridgeport making it a premier destination.” Bridgeport Shipyard will be up and running June 1st and will house and maintain both commercial and recreational vessels. Between the residential waterfront lifestyle of SteelPointe and the maritime industrial positioning of the Bridgeport Boatyard, there is a possibility that the Bridgeport waterfront will become the home for a Fortune 300 Company, MGM Resorts International, to construct a 1.5 million square foot entertainment center with restaurants, shops, spa, hotel, and 100,000sf gaming floor on the old brownfield site at 837 Seaview Avenue. While the Steelpointe development will move ahead with or without the recent MGM development proposal, the Christoph’s are excited about its potential for the City and the State. 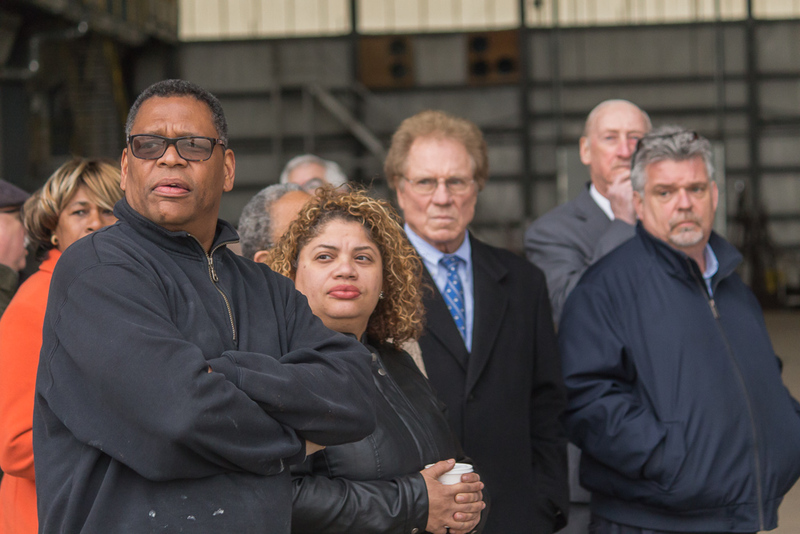 That proposal would fuel the fastest and most exciting development Bridgeport has seen in decades, providing several thousand jobs while substantially adding to the City’s tax base.